Madlab, 36-40 Edge Street, Manchester, M4 1HN. You can RSVP via our meetup page. Cryptoparties provide a great way for anyone to learn how to install and use encryption technology and other tips to keep you anonymous online. Tech facilitators will be there to help you with encryption of email, live chat and how to browse the web without being tracked. All are welcome to come learn and share skills in a fun environment. This event is part of the Manchester Free Software festival and a growing wave of international Cryptoparties. It is organised by Manchester ORG a local pod of the Open Rights Group the UK based organisation fighting for digital rights. 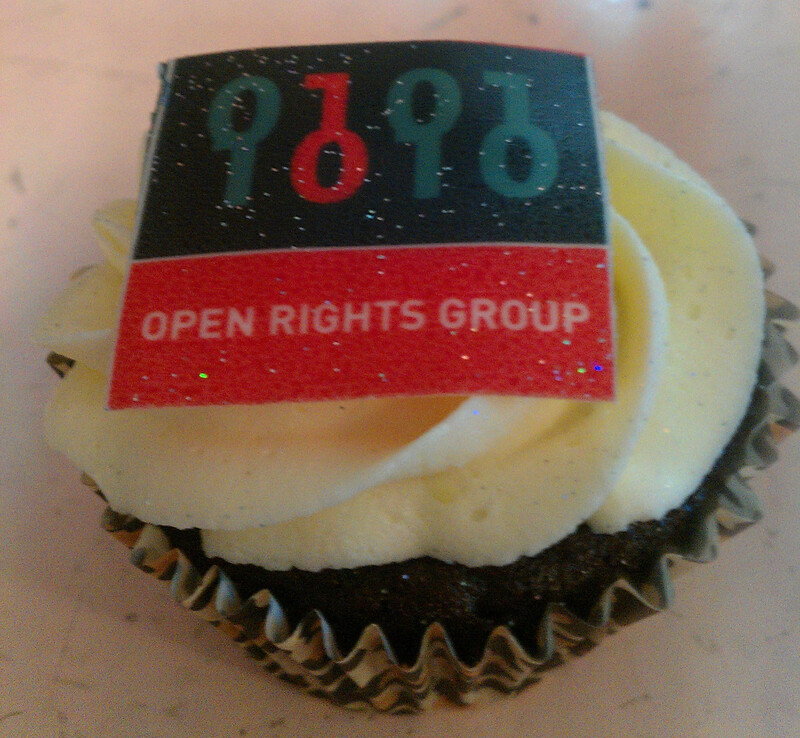 Our last event had a great turn out, good sharing of information and bespoke free cakes! You can read more about it in this post. Please help us to spread the word on Twitter, email / lists and other networks. Thanks! @ORGManchester http://www.eventbrite.co.uk/e/manchester-free-software-festival-tickets-10177371793 … Tickets for Free Software Festival in Manchester are now available, including CryptoParty 2.0 event! Cryptoparties are open to everyone from complete beginners to technical experts. Activists, lawyers, journalists, doctors, small businessmen and the general public will come together to understand how to protect their documents, emails and passwords from being accessed. The event will be held on Thursday 6th Febuary between 7.00pm-9pm at a venue to be confirmed (possibly – Madlab, 36-40 Edge Street, Manchester, M4 1HN). You can RSVP via our meetup page. Specifically we’ll look at technology such as the Tor network (to browse the internet anonymously) , public key encryption PGP/GPG (to send encrypted email), and OTR (Off The Record messaging for encrypted live chat). Your input is very welcome. To offer help and chat to us please do so on the Manchester ORG email list.